After completing a bachelor's degree, I was still left without a career. 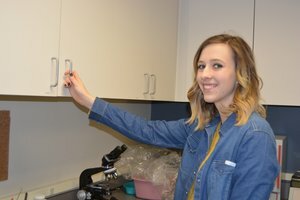 I worked the front desk at an eye doctor's office for 3 years and when the doctor decided to retire, I knew I needed to find a career. I was fascinated with x-rays so began looking into radiography programs. I heard a radio advertisement for PMI. 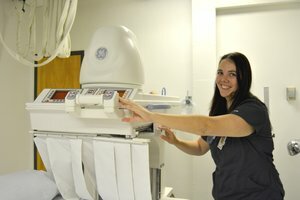 When I learned I could begin almost immediately, unlike other programs I'd researched, I enrolled in their Radiography Program. I found the program to be completely different than my university student experience. I had the same 30 classmates throughout the program, all with the same goal, and we became friends. The instructors made it fun to learn and the hands-on-experience was invaluable. 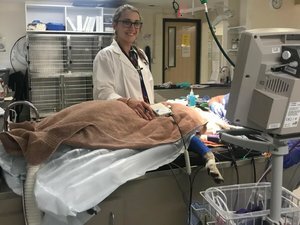 I felt prepared and hit the ground running when I got to my clinicals. I had a great experience at Maricopa Medical Center and they called me about a job not long after graduation. It wasn't long before I became a clinical instructor and a lead. 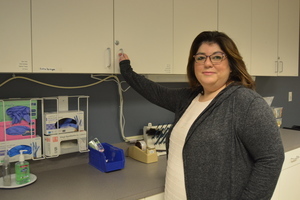 I am currently supervisor of diagnostic imaging and I look forward to coming to work every day! I'm currently getting my master's degree in Public Health, which fits very well with this particular hospital as we service the underserved. I received a great education at PMI and I've come full circle in that now I help train new students just as I once was. Pima Medical Institute is well spoken of around here and I'm proud of that. 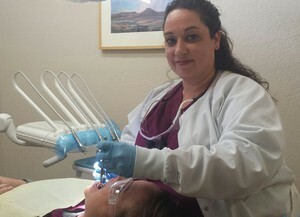 After 12 years as a dental assistant I knew there was more for me in the dental profession. When I heard PMI was offering a Dental Hygiene program, I jumped at the opportunity! I am a 35 year old parent of two boys and the thought of quitting my job to attend school was quite daunting, but I forged ahead and was committed. The Dental Hygiene program was an accelerated, challenging opportunity and despite the sweat, tears, countless study sessions, long nights of studying and many other sacrifices, I completed the program and became a Board Certified Registered Dental Hygienist! I appreciated my education at PMI and was continually impressed by the knowledge and willingness of the instructors and administration to ensure my educational success. 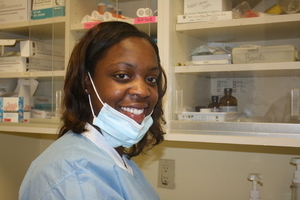 I was prepared in every way, from classroom, to clinical lab, to my job! After passing my boards, I had three job offers! Since graduation I have been employed in an amazing dental office doing what I love! I am even considering furthering my career goals by attending PMI for a bachelor's degree. I am so grateful for everything PMI and my instructors have done for me. I was even given a once in a lifetime opportunity to practice my profession on a missionary trip to Africa provided by the CEO of PMI, Mr. Richard Luebke, Jr. PMI truly cares for their students and provides opportunities not available anywhere else. I would definitely recommend PMI to anyone seeking a way to achieve their career goals and make a better life! We became parents at a very young age and life was very difficult for us, especially financially. My husband's job had a very demanding schedule. I had trouble finding a job that paid me enough to cover the cost of childcare. I knew I needed an education, but I didn't know how to make it work. That is when I made the decision to look into Pima Medical Institute. I walked in one day with my baby in tow. Everyone was friendly and helpful. I was surprised to find out I could sign up for an evening Dental Assistant program that would provide me a career. I loved my classes and the hands on training and enjoyed interacting with my classmates. But, I hit a road block when I found out I was pregnant with my second child. I had complications and had to quit my classes. With two children under the age of 2, I was afraid I wouldn't be able to complete my program. But, after taking a little time off, I walked back in those doors. I had the best support system I could have ever imagined. The people at PMI helped me reset my goals and get to the finish line. There were plenty of bumps in the road, but I was able to finish with high grades and confidence. I am currently working at a dental office that I love, with amazing people. We are 23 years old and we're buying a house and providing for our children. I am so grateful to PMI for all the support they have given me. They gave me a career and an opportunity to succeed. 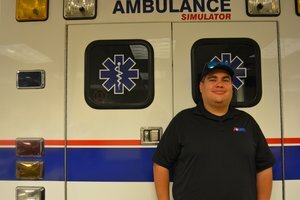 I went to Memorial Hospital to look for a job in the medical field and they suggested I check out Pima Medical Institute to get some training. I had never really thought about becoming a dental assistant. 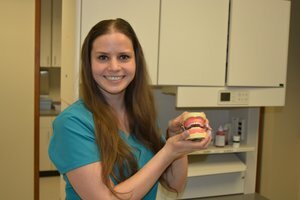 I enjoyed meeting with the admission's counselor at Pima, she was so easy to talk to and, although I had never really thought about becoming a dental assistant before, she encouraged me to sign up for the Dental Assistant program. It was hard at first and I was really nervous, but my instructor, Dr. Sam, was very helpful and encouraged us to believe in ourselves. He made us feel that whatever we put our mind to, we could accomplish and succeed. All the instructors answered our questions and were so encouraging, helpful and provided us with important experiences. I enjoyed coming to school so much, I had perfect attendance. I was placed at Lovett Dental for my externship. They were helpful and kind and I had such a positive experience, they hired me! My future goal is to become a hygienist. Since I had such a great experience the first time around, I'll probably come back to Pima for the program. I am so grateful and wouldn't be here without Pima. When I was in high school, my uncle needed help with his in home healthcare business so I began helping him with his residents. I decided to take a nurses aid course, where I met my wife. Together, we started down our journey of receiving our college education as medical assistants. A few years later, we both started working at Pima Medical Institute. While I was working as an MA instructor, the lead instructor position opened, and my faculty coordinator asked me to consider the position. However, in order to fully qualify I needed an associate's degree. I was nervous about going back to school and working full time, but once I started, I realized it was not as hard as I thought it would be. The online instructors were very responsive. I achieved my HCA associate degree, accepted the promotion, and now my wife and I are both enrolled in PMI's HCA bachelor's degree. I have gained more confidence in my ability to be a student, while at the same time setting an example for my students and my son. I have no clue what the future holds for me, but I am ready to face the opportunities with my head held high. I've worked so hard to get to where I am today. Pima Medical Institute really taught me to be ready for anything in life. I love working here and I love encouraging my students to reach for their goals. I was 45 years of age when I decided to build a new career. It was the best decision of my life. PMI gave me the education I needed, and 4 months later I had my dream job. I had been married and under the comfortable wing of my husband, when suddenly I found myself divorce and needing to support my family. 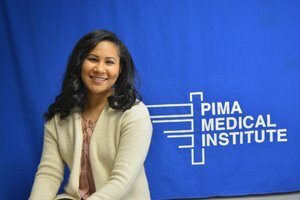 I knew of Pima Medical Institute, so one day I browsed their website and was drawn to their Medical Administrative Assistant program. I felt like it might combine my past administrative experience and the caring part of my previous job working with special needs preschoolers. Going back to school was challenging. I had to work during the day, deal with health issues, teenagers, and attend classes in the evening. But, I loved learning and the instructors were awesome! They were always available for questions or to give advice. I use the things they taught me every day in my job. I am currently a Patient Service Coordinator at Swedish Hospital. This is just the first step in my education; I plan to continue with my career and hope to be able to, eventually, obtain my bachelor's degree through PMI's online Health Care Administration program. As I look back, it's been a difficult couple years, but I don't regret it. I'm not afraid to be on my own anymore. I chose Pima, built a career and I am doing a job I love!! I've always been interested in the medical field, but more from the cosmetic side. 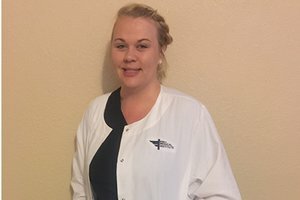 While working the front desk at a medical spa, I slowly began falling in love with hands-on patient care, so I researched schools and programs and decided Pima Medical Institute was the best option for me! 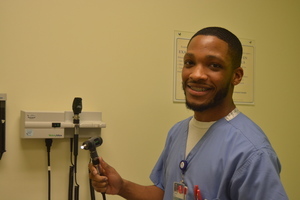 I didn't need prerequisites required at many other institutions, the price was right, and I could become a licensed Medical Assistant in just 10 months. I love how Pima sets up your schedule and includes books, uniforms, and everything needed for the program. Of course I was nervous, but everyone made me feel comfortable. I'm so thankful for my amazing instructors! Toward the end of my program, I went through a very difficult time. No one knew it then, but I was actually living in a hotel. I was able to focus and complete the program because the people at PMI were constantly caring for me; I felt the dedication from my instructors. When it came time for my externship, my Career Services Advisor really listened to me and sent me to a site that met my needs. I so appreciate that! 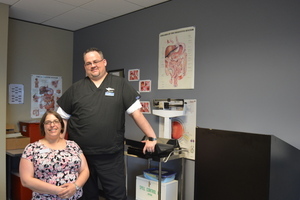 Even though my plan was to get back into medical esthetics, I spent several years working in a number of medical specialty areas, expanding my knowledge base. Recently, I opened my own beauty studio where I do make up, facials, and micro blading. I never would have had the confidence to step out on my own without my experience at PMI. There is no other school that cares for its students like Pima does.